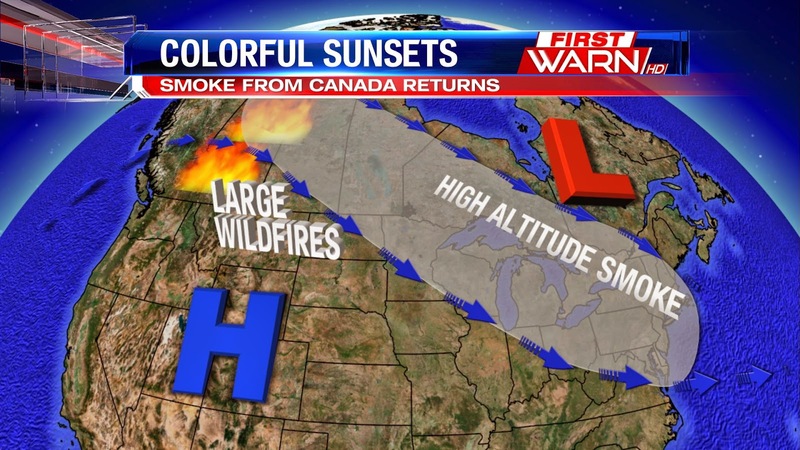 You may notice more colorful sunsets through the weekend, and the wildfires in Canada are the reason why. 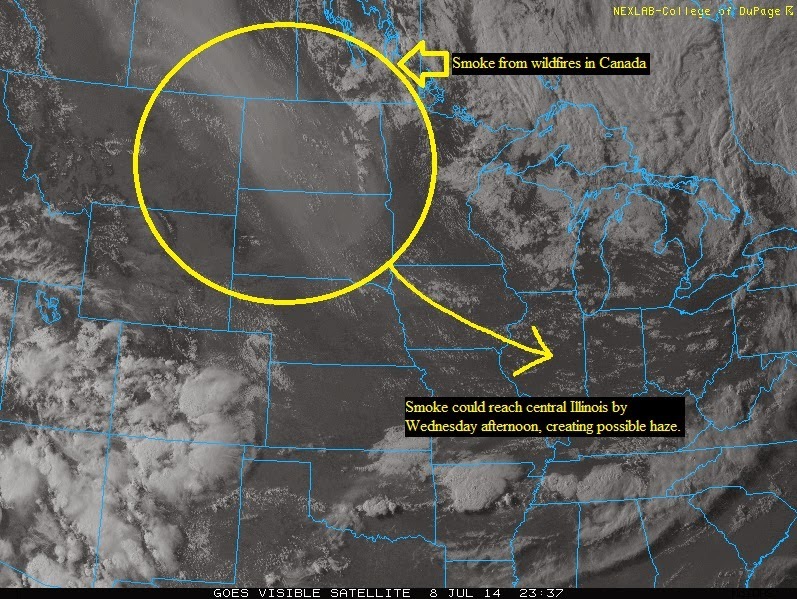 The dip in the jet stream will bring smoke from the fires to the Great Lakes region through this weekend. Most of the smoke will stay in the upper parts of the atmostphere, but if you have respitory problems you'll want to keep close attention to air quailty levels. If enough of the smoke mixes down it will lower the air quaility level...it could also reduce visibility while driving. On a more positive note, you'll notice more colorful sunrises and sunsets. With smoke particles in the air it will scattered the sun's ray and produce more vibrant colors. You'll be able to notice this from Chicago all the way out to parts of the east coast. If you snap a picture you can always send it to us, we love good pictures! You can email them to: weather@wtvo.com. You don't need us to tell you that July hasn't been a particularly hot one, but here are some numbers to put it in perspective. 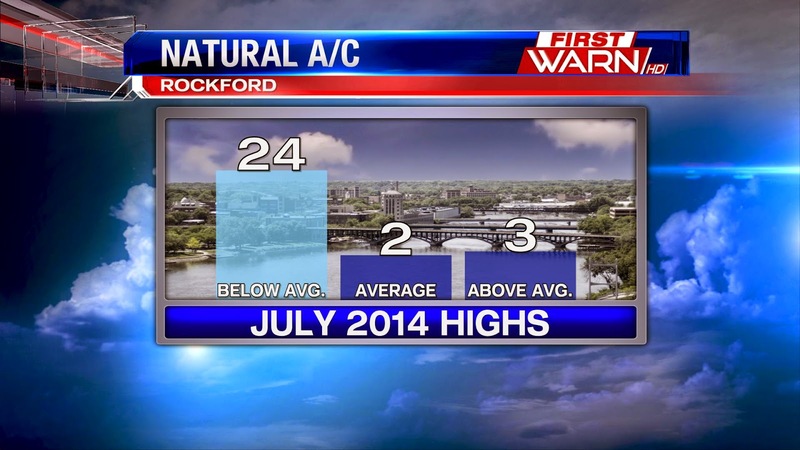 Through July 29th, Rockford has had 24 days with highs below average. We've only seen one day in July with highs in the 90s. Our coldest day was the 15th, when our high only hit 68°. Talk about a cooling trend! As of Wednesday, Rockford has had one 90° day so far this July. Two years ago, that number was at 18 through the 23rd! If you're heading out to Country Thunder on Thursday it will be an absolutely perfect afternoon to do that. High pressure building in through the afternoon keeping the skies mostly clear. Temperatures will be on the cooler side since the passing of the cold front last night...the high will be 76° for the afternoon. 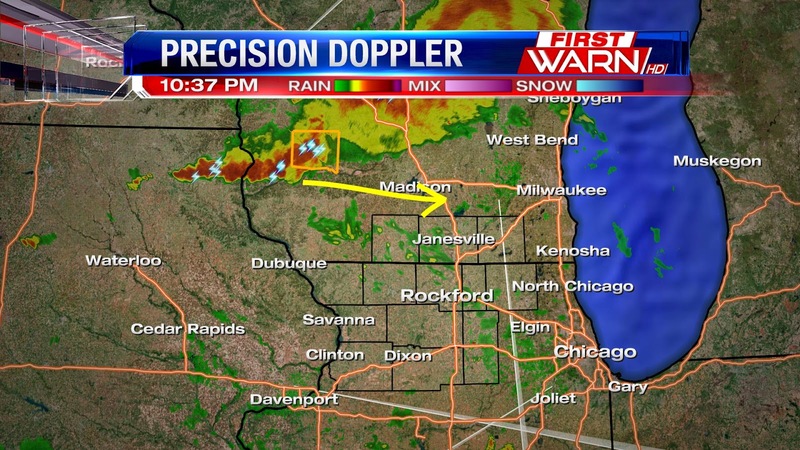 8:30pm Update: The severe weather threat for tonight has been canceled for the Stateline. A few non-severe showers/storms will still possible before midnight. Original Post: The Stateline will continue to be under a Slight Risk for severe weather this evening, but overall, this does not look to be a widespread severe weather event. 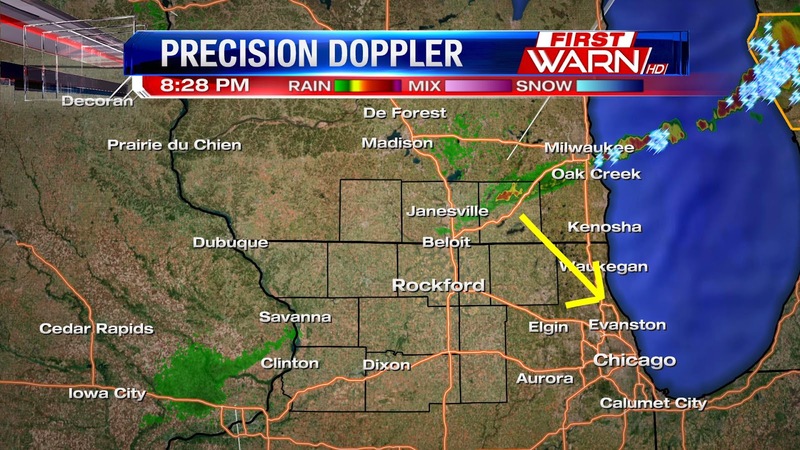 The radar and satellite just before 5:00pm is pretty quiet. A few storms have popped up in western Iowa into the Quad Cities along a cold front, but these storms have failed to gain any strength as they move southeast. We haven't seen much of the Dog Days of Summer this year, but we're getting a taste of it to start the week. Through Monday, there has been a distinct lack of heat this summer. 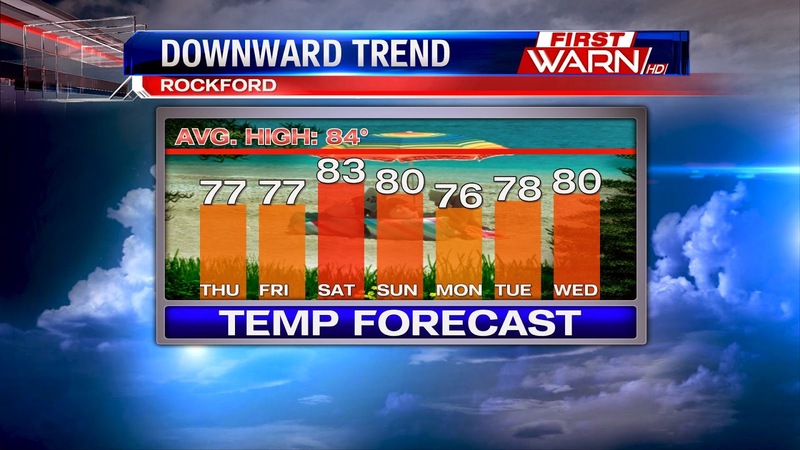 We've only hit 90° one time in Rockford, with a handful of upper 80s back in June. Monday's highs were right around normal for this time of year, which means they were especially hot, given our cooler than average summer. The hottest day of the summer could very well be on Tuesday. 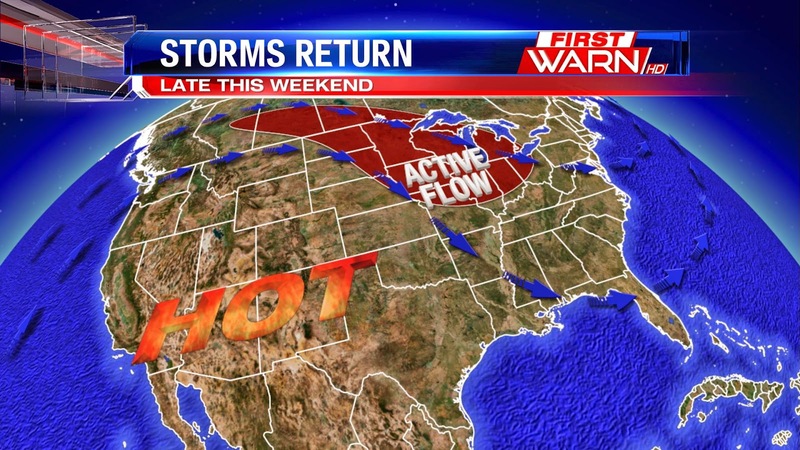 Highs are expected to get back to 90° across the Stateline. With the heat index, it could feel like triple digits in a few spots. This summer has been lacking in the heat and humidity department, but that will change heading into next week. Temperatures will continue their slow warm-up through the middle of next week. The hottest days in the forecast will be Monday and Tuesday, as highs warm into the 80s and maybe even a few 90s. The worst of the humidity will coincide with the heat. We'll start to feel it a little on Sunday, but get the air conditioning ready for the start of next week. Do you hate the heat? You may not want to read any further, then. 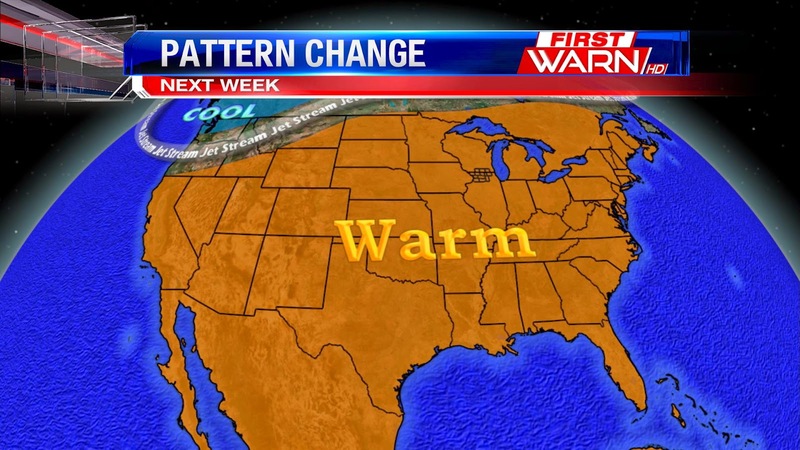 A pattern change is coming that will mean much warmer temperatures in the forecast. The warm-up can be attributed in large part to the jet stream. The jet stream is a strong current of air high up in the atmosphere. It does a great job of separating colder, polar air from warmer, tropical air. This week, the jet has been south of the Stateline. That means we've been under the influence of cooler, more comfortable air. Starting this weekend, though, the jet will start shifting north. Most of the country will be talking much warmer temperatures by the beginning of next week. It may July on the calendar, but it will feel more like May across the Stateline this week. 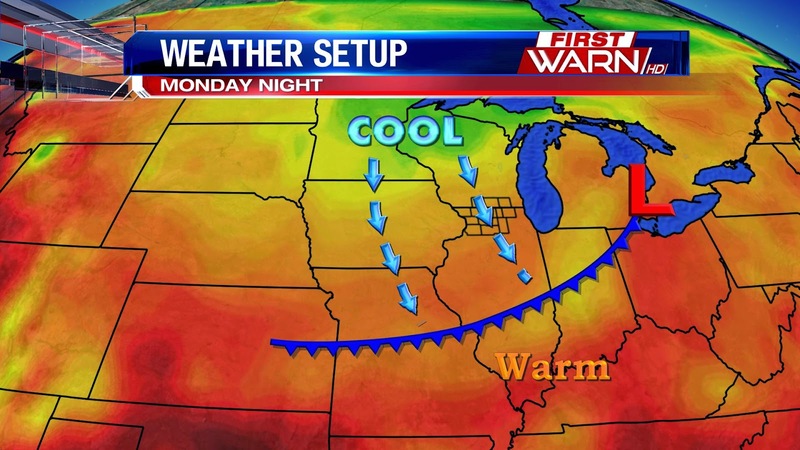 The brunt of this week's cool snap will move in Monday night behind a cold front. We'll be talking temperatures a good 10-15° below normal for our Tuesday. We won't break any temperatures records Tuesday, but we could come close in a few spots. Lows Tuesday morning will cool to around 50 with some upper 40s across the viewing area. We'll struggle to warm into the 70s on Tuesday. The Storm Prediction Center still has the entire Stateline under a Slight Risk for severe weather on Saturday. Severe storms will be possible as early as Saturday afternoon. The best chance for severe storms will be Saturday evening. As far as the threat forecast goes, strong winds and flash flooding will be the main concerns. Some larger hail will also be possible, but will be a secondary concern. At this point, the tornado threat will stay low enough to not be a major focal point. Here's what some of the models are suggesting in terms of timing and storm structure. 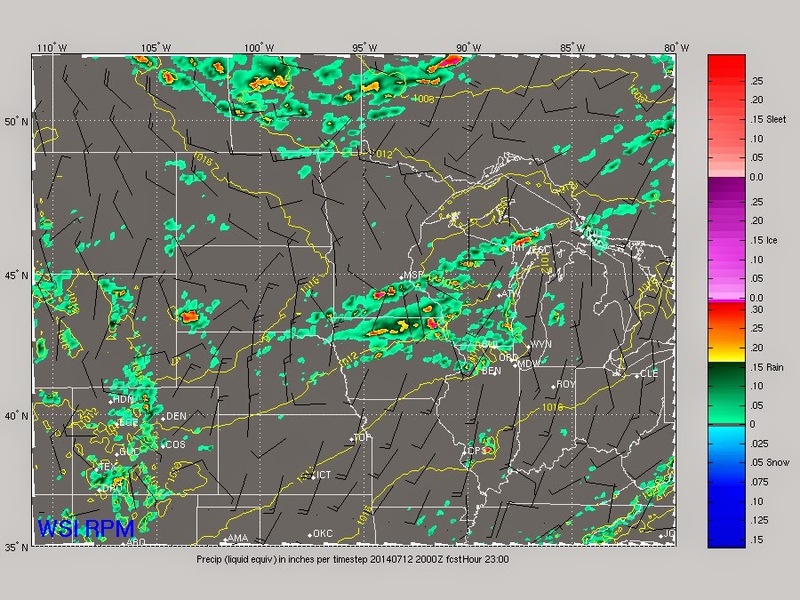 Afternoon: Scattered storms will start popping up across the Stateline. The severe threat will depend on how much sun we get during the morning hours. That sunshine will provide the energy needed for severe weather. Strong winds, hail, and flooding will all be possible with these storms. 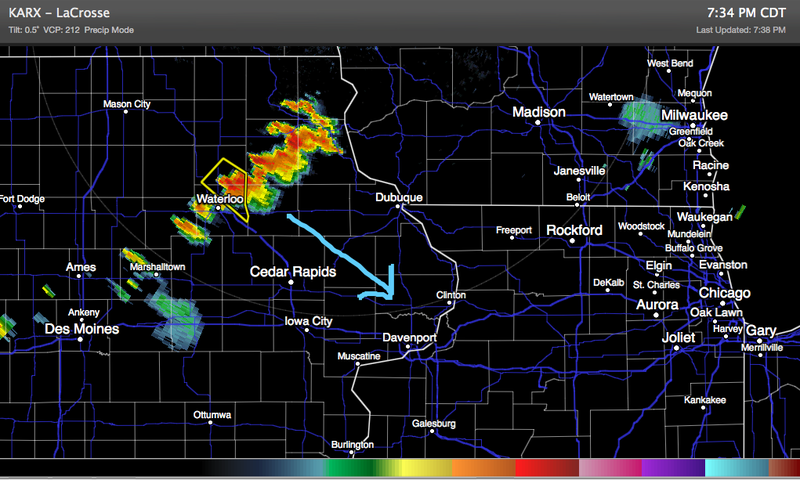 Evening: Storms will start to organize and are expected to move through as a line. This will be our best chance for severe weather. Strong winds will be the main threat with some flooding also possible. It's been a quiet week so far, but warmer temperatures and storm chances will return for the weekend. We'll have to keep a close eye on those storm chances because the Storm Prediction Center has issued a Slight Risk for severe weather on Saturday. Here's the timing as of right now. Storms should be ongoing Saturday morning, but at this point, it doesn't look like anything severe. The biggest threat to start the day will be heavy rain and some potential flooding. After a break in the rain around midday, storms are expected to start redeveloping for the afternoon and evening ahead of our next cold front. These storms will be capable of strong winds and large hail. In case you missed it, Chief Meteorologist Candice King gave birth to a beautiful baby girl Monday night! Her name is Emily Renee King. Both mom and baby are doing well. 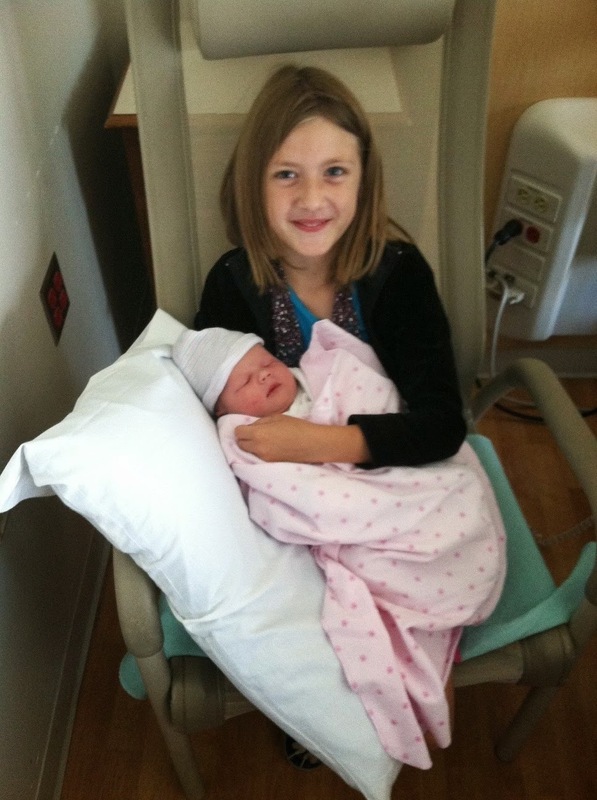 As you can see in the picture below, Candice's oldest daughter looks pretty excited to be a big sister. We wish Candice a speedy recovery and hope to see her back with the First Warn Weather team soon! Congrats again to Candice and her family! 10:45pm Update: Storms to our north are now starting to move east. Still looking for storms after midnight, but the severe threat is very small at this point. 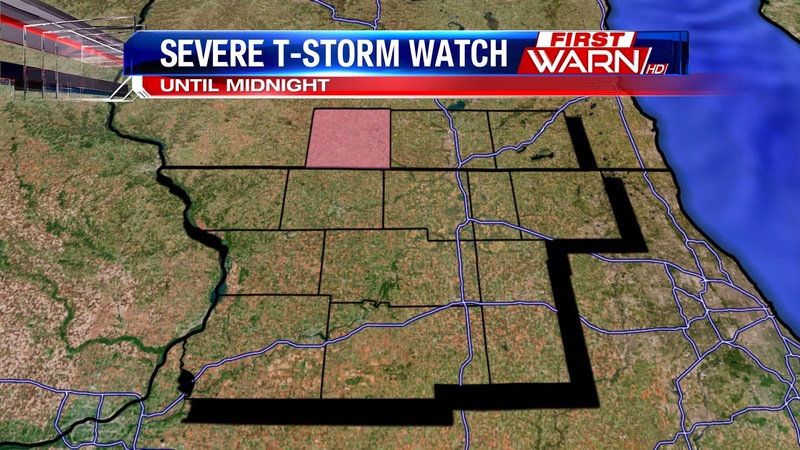 5:20pm Update: A Severe T-Storm Watch is in effect for Green County (WI) until midnight. 4:45pm Update: The western portions of the Stateline are still under a Slight Risk for possible severe weather after midnight, but the greatest threat for any severe weather will stay well to our south. If any severe storms do develop overnight, wind and hail will be the primary concerns. Futurecast shows those storms to our south with our next cold front. Some lingering storms will be possible Tuesday morning with isolated (non-severe) storm chances for Tuesday afternoon. Original Post: The Storm Prediction Center has the western part of the Stateline under a slight risk for severe thunderstorms. The strongest storms should stay to our west and south tonight, but strong storms are still possible for the entire Stateline. It looks like the storms will move through after midnight tonight, with the biggest threats being heavy downpours and lightning. 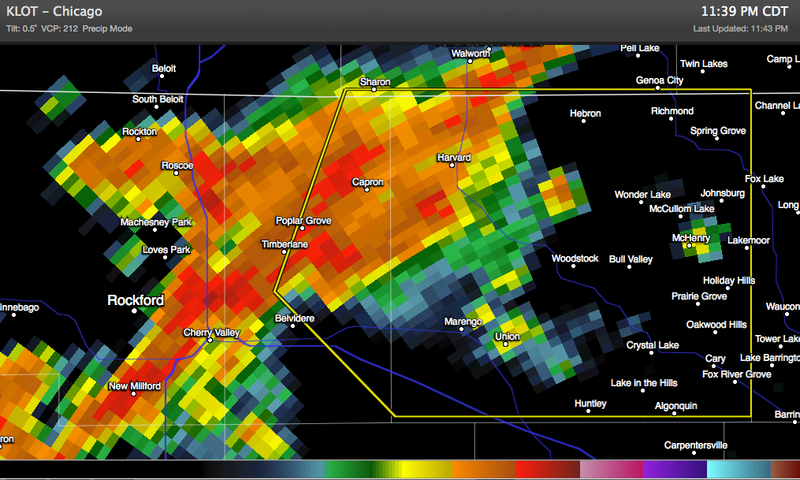 11:45pm Update: Severe T-Storm Warning for eastern Boone and McHenry until 12:15am. 60mph winds possible. Original Post: The Storm Prediction Center has the Stateline under a Slight Risk for severe weather Sunday night. Storms will be moving through with a passing cold font. The biggest concern with any severe storms will be strong winds, followed by hail. 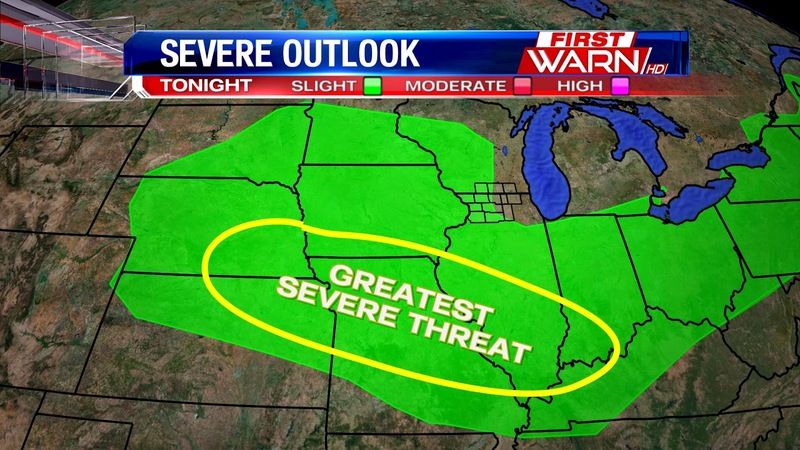 An isolated tornado threat should stay in Iowa for the most part this evening. During the month of June, we had a couple whopper rainfalls. The total precipitation for the month of June added up to 8.06" which is 3.41" above average! 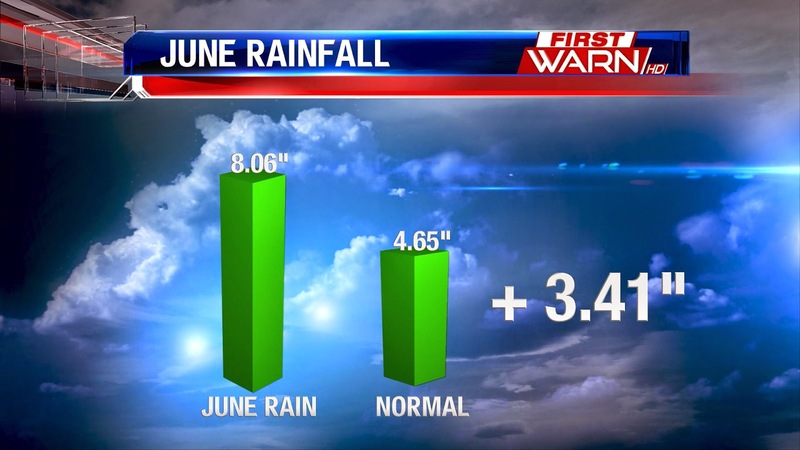 This placed June 2014 as the 8th wettest June on record. The wettest June on record was back in 1946 when 11.85" fell. Happy 4th of July!!! The forecast for today and tonight couldn't be better. Mostly sunny with temperatures in the upper 70's to near 80 degrees. Compare this to the steamy and humid 4th just two years ago when the high temperature rose to a record 102 degrees! How many of you remember that day? I know I sure do! degrees. That, combined with an approaching cold front, will more than likely spark off a few storms, some on the stronger side, late Sunday and Sunday evening. Northern Illinois and Southern Wisconsin are already highlighted under a slight risk for severe weather for late in the afternoon. Since it is a holiday weekend, make sure you stay aware of the forecast going into Sunday. 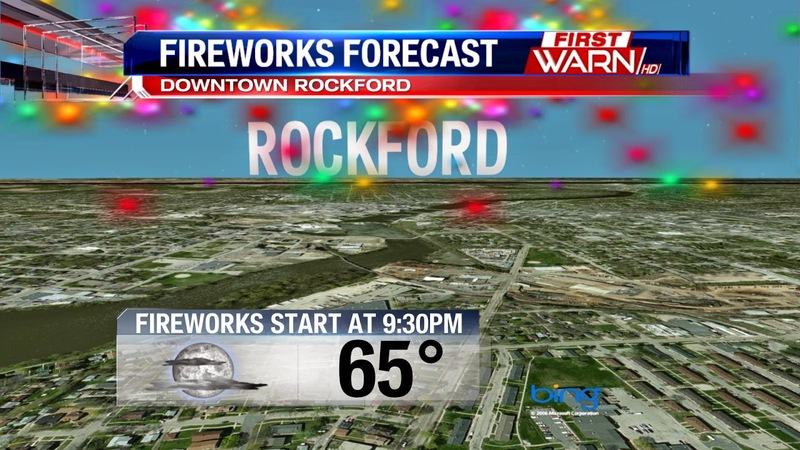 Rockford's Fireworks start at 9:30PM Friday night in downtown Rockford. The high temperature will be 79­° for tomorrow afternoon, and we'll stay mostly sunny. A dry airmass in place will keep rain and humidity at bay. That evening we will stay mostly clear with the temperature near 65° for the display. 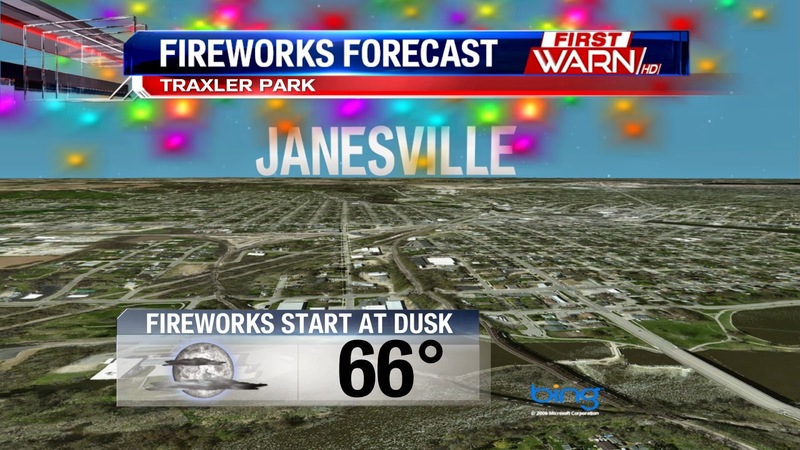 Janesville's fireworks will be at Traxler Park starting at dusk. Mostly clear skies and temperatures near 63° will be perfect for viewing. The high will be 77° that afternoon staying mostly sunny. 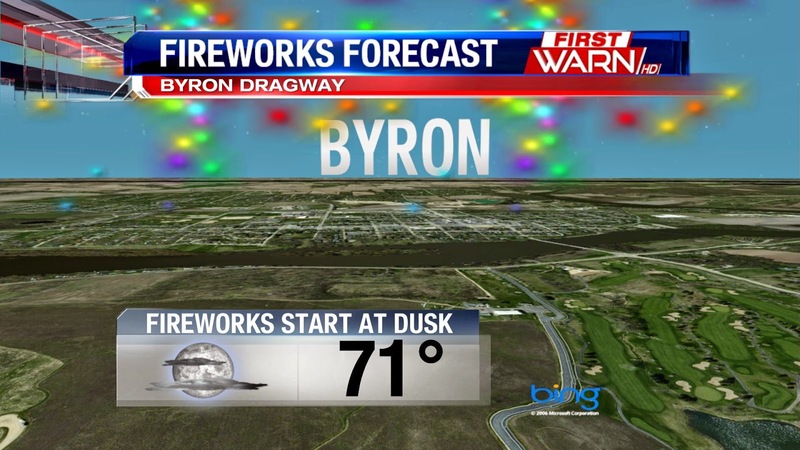 If you're headed over to Byron for the fireworks on Friday, they start at dusk at the Byron Dragway. Temperatures will be near 70° at the start of the show with the skies mostly clear. The high in Byron will be 80° with lots of sun. Dekalb's fireworks display starts at 8:30pm Friday evening, temperatures will have cooled to near 70° by the time of the show, with skies still clear. It will be a sunny afternoon with temperatures near 80° that afternoon. The fireworks will be at Hopkins Park. After another day of storm surveys, the National Weather Service in Chicago has now confirmed EIGHT tornadoes across portions of northern Illinois and Indiana on Monday night. 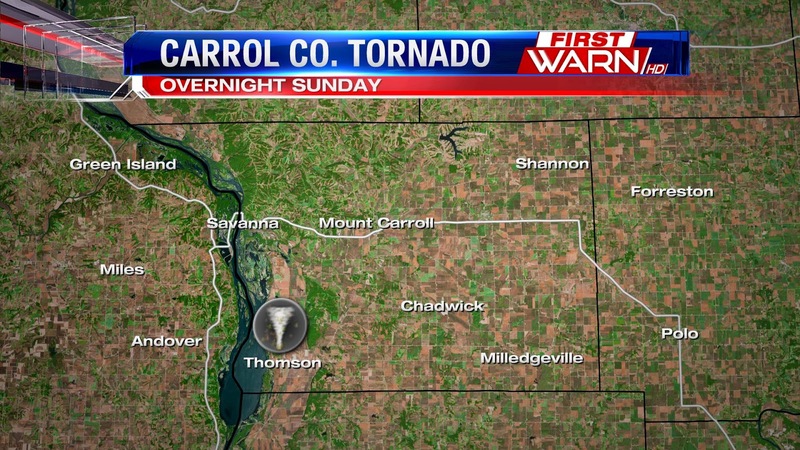 The National Weather Service in the Quad Cities even confirmed a tornado overnight Sunday in Carroll County. Let's start with the Carroll County tornado. An EF-1 with estimated 100mph winds touched down just north of the city of Thomson at about 12:30am on Monday. It was on the ground for about two miles. No word on any damage that was done by the tornado. You can find the complete report (so far) of the Carroll Co. tornado from NWS Quad Cities here. 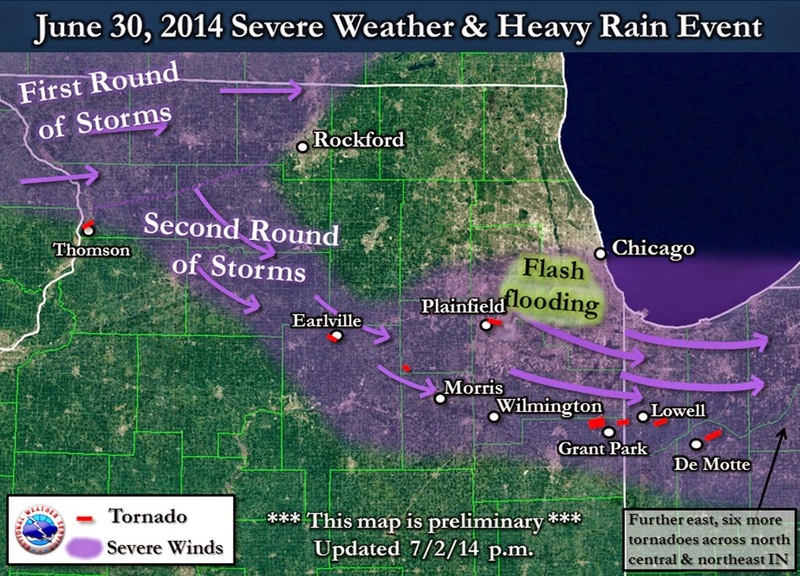 Photos and more details of these tornadoes from NWS Chicago can be found here. Tornado sirens roared across towns in northern Illinois with reports of a funnel cloud spotted in Loves Park Monday evening. At that time, a line of stronger storms were present, but there were no severe thunderstorm warnings out and radar showed no indications that any of the storms were rotating. In fact, with the wind velocity shown on radar, it would have been quite hard to get any rotation from that line. So, what could have possibly happened? Everyone's severe weather awareness was likely up due to the forecast of possibly damaging wind thunderstorms for later in the day. 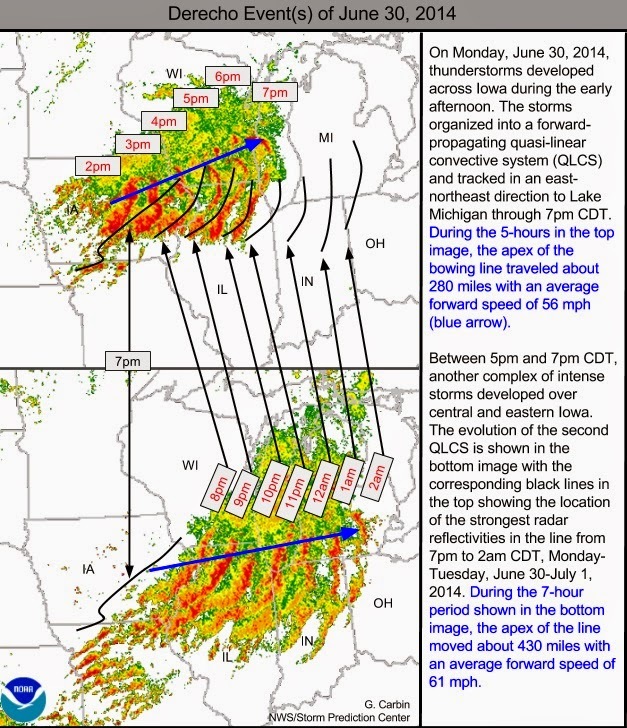 And when a Tornado Watch was issued during the afternoon, I image the weather awareness went up even further, which is good, but you also need to keep your severe weather spotting classes in mind. While watches and warnings should not be taken lightly, it's also important to realize that not every thunderstorm that develops under a Tornado Watch will produce a tornado. While I haven't seen any photos from that particular storm that had the 'supposed' funnel cloud, I can suspect that there were a lot of low hanging clouds that possibly resembled funnel clouds. Often times these low hanging clouds, otherwise known as Scud Clouds, can be easily mistaken for funnel clouds. After all, they look very ominous and scary, but they pose no severe weather risk. Anyone who has been through a storm spotter training class with the National Weather Service will know this saying: 'If it doesn't spin, don't call it in'. All thunderstorms will have updrafts and downdrafts. Updrafts help build the storms with the warm, moist and humid air and downdrafts are the rain, hail and wind. When you think about it, there is a lot of turbulence in the atmosphere that comes with thunderstorms that can often times lead to those scary looking clouds. 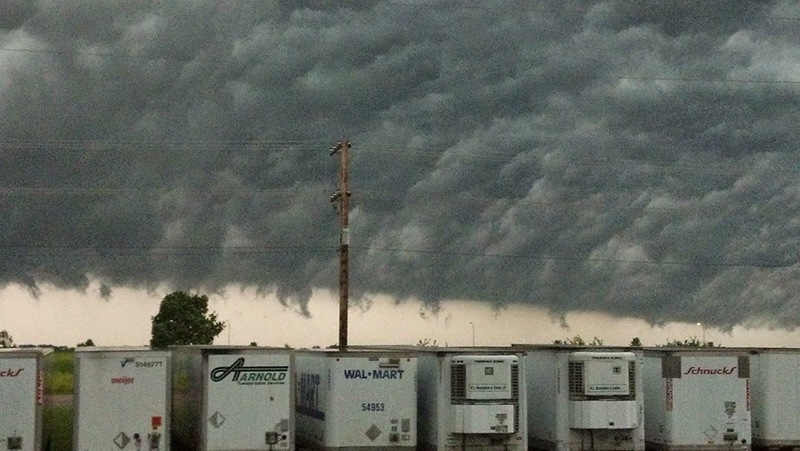 Most often, scud clouds are mistaken for funnel clouds with shelf clouds. Shelf clouds form along the leading edge of a line of thunderstorms. 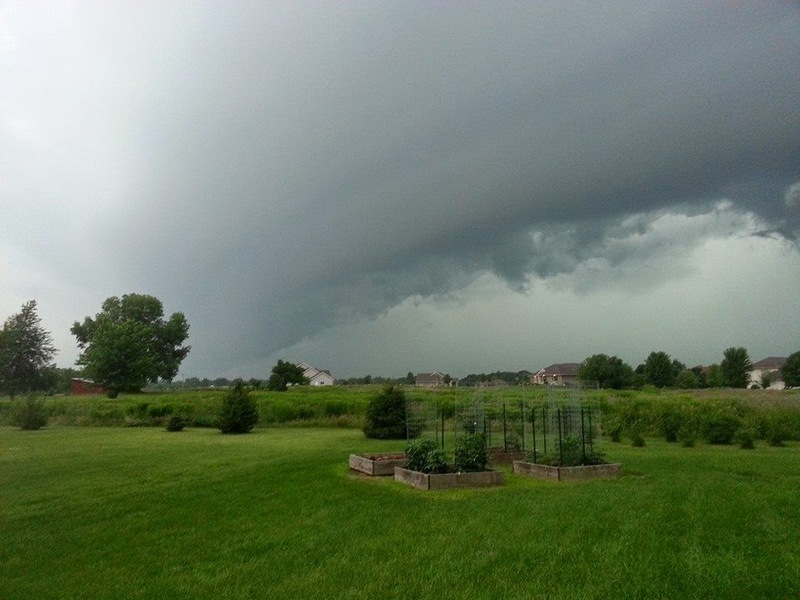 The image on the left is a picture of a shelf cloud from Monday in Rochelle. Notice the jagged looking clouds on the bottom. Here's another Rochelle photo that Melinda Kerwin took Monday night. At first glance, it would appear that there are several possible funnels hanging from that storm cloud, but at closer inspection the clouds are very jagged and were likely not moving or rotating. 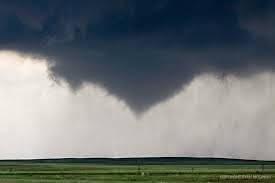 It's important when spotting, or taking pictures of storm clouds, not to assume that every low hanging cloud from a thunderstorm is a funnel or tornado. Here are a couple questions you need to ask yourself before making a determination: Is the cloud rotating over time or is it remaining stationary? Is there an apparent wall cloud with this storm? Where in respect to the rain is this cloud located? If you're still not sure, snap a picture and either send it in to the National Weather Service or the First Warn Weather Team. You can even call and describe what you're seeing. From that, looking at the radar as well as talking with the National Weather Service, we can determine whether or not it's a possible funnel cloud.